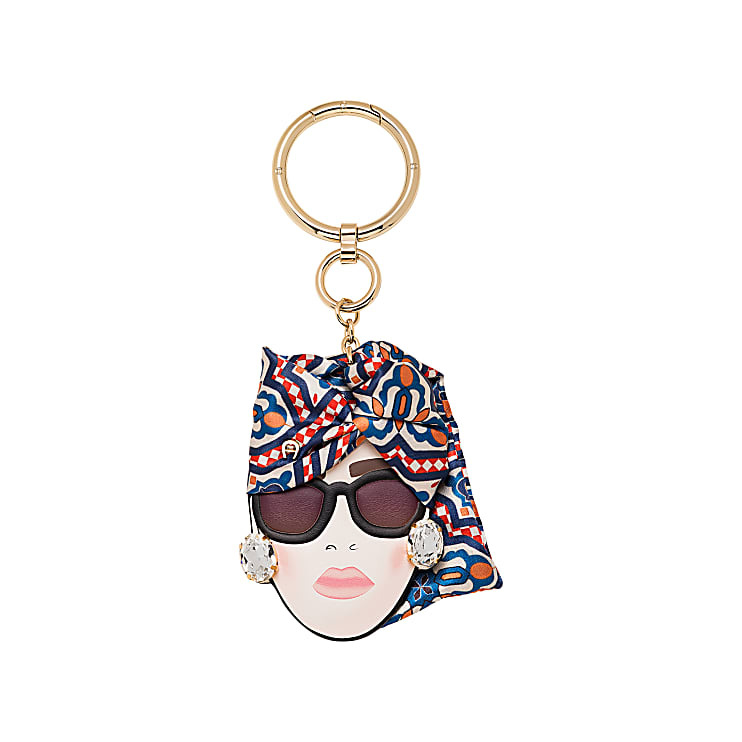 This cool fashion pendant jazzes up any handbag and makes your look unique! The pendant is made of smooth leather and presents our motif of the season on three different head scarves: the exciting ocelot animal print, the elegant striped design in blue and purple and the folkloristic pattern inspired by Moroccan tile designs and oriental arts. Add the stylish pendant to the matching bags with the Medina design like the Alia, Carol or Genoveva leather bags and accessories!